Last books by long-lived, prolific mystery writers sometimes can be lamentable performances, like that of an actor of declining powers who vainly deigns to remain strutting upon the stage. Even their warmest admirers often do not have much to say that is laudatory about Agatha Christie's Postern of Fate (1973) or John Dickson Carr's The Hungry Goblin (1972), both of them written near the end of the author's lives. Sometimes this failure of powers may be due to disabilities associated with old age. Christie, who was 82 and 83 respectively when her last novels Elephants Can Remember and Postern of Fate was published, was suffering from dementia when she was writing them, according to a researcher, who says of Christie's writing at that time that her use of vocabulary had "completely tanked." Or sometimes a writer simply may be written out. Carr was only 65 (a time when many authors remain at their prime) when The Hungry Goblin was published, yet even his admiring biographer Douglas G. Greene considers it too poor a work to merit reprinting. Yet Carr's work had been declining for some time, arguably for as long as two decades. The could be said, too, of Christie, or a number of other Golden Age writers. For many Golden Age writers, the 1950s, when most of them were entering their sixties or seventies after two or three decades (or more) writing, signaled a beginning of a decline in their work, which accelerated in the 1960s. This doesn't mean they couldn't still produce good books--Christie's 4:50 from Paddington, Cat among the Pigeons and The Pale Horse, written when Christie was around 70, are all well-regarded by fans--yet there often was an overall decline. In the Thirties, noted Robert Barnard of Christie, for example, one expected masterpiece after masterpiece from the author's pen, while after around 1950 or so one could only hope. What about New Zealander Ngaio Marsh, who after the death of Dorothy L. Sayers in 1957 and Margery Allingham in 1966, remained, in the eyes of critics and many fans, the main rival to Christie's crown as Queen of Crime until Christie's own death in 1976? I think that Marsh, who was five years younger than Christie (and claimed to be nine years younger), produced several books in the Fifties that were comparable with her best work. 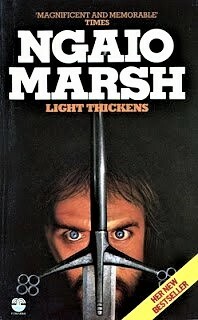 However, by the 1960s Marsh's work too was slipping, in my view. I like the comedy of manners in Hand in Glove (1961) and the original situation in Clutch of Constables (1968)--not to mention the clever alliterative title with its double meaning--as well as the timeliness of Black as He's Painted (1974) and the classic country house set-up in the New Zealnd setting of Photo-Finish (1980), but I'm pretty lukewarm, on the whole, about the rest of her output from her later years. Often Marsh's Death at the Dolphin (1966) draws high praise, however. Indeed, in its day influential American reviewer Anthony Boucher raved the novel, placing it on his ten best of the year list, which he had done since 1949 and continued until 1967. (He died in 1968). Over those 18 years, during which Marsh published a total of ten detective novels, Boucher included just two other Marsh mysteries, Opening Night (1951) and Scales of Justice (1955), in his annual top ten lists, giving Marsh the same number of mentions, incidentally, as late Fifties newcomer Patricia Moyes. So presumably Boucher thought that Marsh's Killer Dolphin, or Death in the Dolphin as it was re-titled in the US, was one of Marsh's very best mysteries. Golden Age stalwart Christie, in case you're wondering, made Boucher's lists 9 times (out of 20 novels and 1 short story collection), which is pretty terrific for an author in relative decline as I have contended, though Ross Macdonald edged her with 11 (!) mentions (out of 13 novels and 1 short story collection). I agree with Boucher that Opening Night and Scales of Justice are two of Marsh's best mysteries, but, despite the admiration Boucher and other later readers held for it (Crime writer and Sunday Times mystery reviewer Edmund Crispin was another admirer), I simply cannot work up enthusiasm for Death at the Dolphin. It's one of Marsh's theater mysteries, which the author, who directed stage plays when she wasn't writing mysteries, periodically produced. In her own home country of New Zealand, we are told, it was her theatrical work which won her the most critical respect. The first chapter of "Killer Dolphin," in which young theatrical director, Peregrine "Perry" Jay (why not Poppin "Poppy" Jay if we're going to be twee?) tours a derelict, bomb-damaged theater, the Dolphin, and falls under its decrepit yet still potent charm, is appealing. On stage Jay falls into a hole filled with slimy cold water, but is rescued by reclusive millionaire Vassily Conducis, who owns the theater and is yet another character from the era modeled on Green tycoon Aristotle Onassis (though Mr. Conducis is part Russian). He offers to restore the Dolphin and put Jay in charge of producing plays there. He also shows Jay a glove he owns which supposedly belonged to Shakespeare's son, Hamnet, who died when he was but 11. Jay decides that for The Dolphin he will write a play, "The Glove," based on events in Shakespeare's life (with plenty of fictional invention). And why not? The whole book reads like a fantasy wish fulfillment novel for theatrical directors who are also, like Ngaio Marsh, Shakespeare fiends. They should love this book, to be sure. Did I mention Jay finds his beloved future wife in the novel as well? Of course he does. And the at the play is a big hit? Of course it is. Years later, in Marsh's detective novel Light Thickens, a sequel of sorts to Death at the Dolphin, Perry's wife Emily tells a young boy, now acting at the Dolphin, the story of "how Peregrine, a struggling young author-director, came into the wrecked Dolphin and fell into the bomb hole on the stage and was rescued from it and got the job of restoring the theatre and was made a member of the board." "Even now, it's a bit fairy-like," she reflects. And indeed it is. Killer Dolphin is a fairy tale. 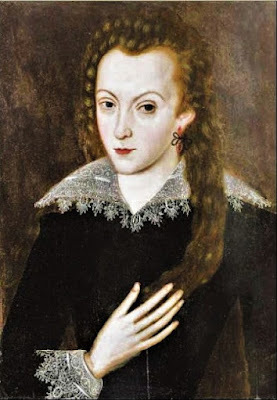 "the master-mistress of my passion"
Was the Earl Shakespeare's "W.H."? There is, to be sure, one of Ngaio's narsty murders, about 150 pages into this 300 page novel. 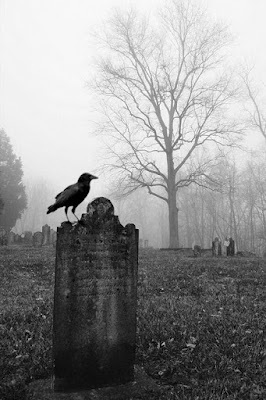 The problem for murder fanciers is that it's a very routine murder. There's also a theft (of the fabled glove), but this is routine as well, outside of the fact that a Shakespearean relic is involved. The only interesting mystery that actually appears in the novel, I think, is the question of Mr. Conducis' motivations, but even this was slim compensation. And please recall that in my last blog post, a review of Marsh's Swing, Brother, Swing, I defended Marsh against criticism that she couldn't plot worth a damn, so I don't feel I'm biased against the author in this respect. It's simply that I believe what Jacques Barzun has written about Dolphin is true: "the mystery is forced and the outcome dull." Are there any compensations? Not for me, really. I didn't find the characters sufficiently interesting or memorable, nor did Jay's play "The Glove" fascinate me. Indeed, I couldn't see why it would have been so popular. Jay brings into the play the ambiguous "W.H" from the sonnets, along with the Dark Lady, but I thought the whole thing tamely handled. As usual, Ngaio only mentions homosexuality to make dismissive references about it: Jay and his male friend and roommate Jeremy are most emphatically not gay and in fact spend a number of pages worrying that the whole setup with Mr. Conducis might be some elaborate effort on the magnate's part to bed Jay. But then we learn that Mr. Conducis is not gay either, so the poor boys were needlessly panicked at the thought of the big bad gay wolf. They should have known better, however, for the only people in Ngaio's books who actually ever are portrayed as queer are, as I recall, one lone, suicidal lesbian, in Singing in the Shrouds (1958), and a flock of extremely broadly drawn "flaming queen" stereotypes scattered throughout the author's lengthy crime corpus. 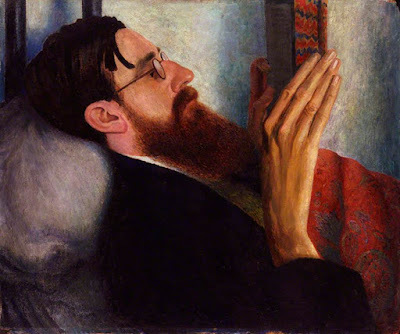 "Homosexuals seem to live in such a state of hectic misery & to get so little fun out of whatever antics they employ...one wonders they don't give it up as a bad job," Ngaio commented dismissively in a 1978 letter after reading biography of Lytton Strachey, who died way back in 1932, nearly a half century earlier (and only two years before Marsh published her first mystery). Which attitude helps explain, I think, her portrayals of LGBTQ people in her books. As a group gay men in particular just did not interest her, except as stereotyped comic relief, and her one lesbian is simply pathetic and sad, a backward step even from The Well of Loneliness (1928). It's as if Marsh's views of homosexuality had set in stone around 1930 and she never saw a need to update them. Marsh's second biographer tries to make the case that Marsh herself was a lesbian, but I've always had trouble accepting this view, given Marsh's writing on the subject. If she was a lesbian, she must have been deeply closeted, both physically and mentally. So concerning Death in the Dolphin aka Killer Dolphin I'm afraid that I have to part company with Anthony Boucher, seeing it as I do as a novel with very little to commend it after the first chapter (which I agree is very well written). 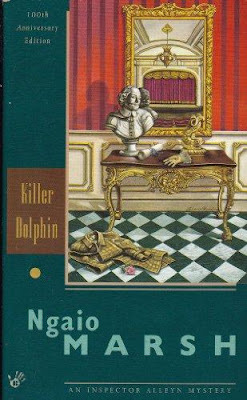 Perhaps Ngaio was really a mainstream novelist trying to break out of the mystery "ghetto," if you will, but in Dolphin, as I see it, she regrettably has nothing of interest to say and the mystery element, like the killer whale, blows. At best, it seems to me, it's simply a trifling amiable fantasy about nice people putting on a nice show at a nice theater, with a discordantly not-nice murder perfunctorily thrown in so that it can be called a mystery. Given that I've just admittedly described a lot of modern mysteries, this may actually be the sort of thing a lot of modern mystery readers enjoy. And certainly there is no crime in that. We all have different preferences about what sort of fictional worlds we like to escape into, but I like one with a little more spikiness, whether in the puzzle or the milieu (or both). However, Marsh gamely returned to the Dolphin theater to stage another murder in her final detective novel, Light Thickens, which she wrote at the age of 86, heroically completing it just a few weeks before her death in 1982; and I like the results better. It is definitely more to my taste. Although modern critical wisdom about Light Thickens is that it is a weak effort, in my view it is at least an improvement on its predecessor Death at the Dolphin. Peregrine Jay returns in a major role, now married to Emily and with three boys. There are a couple of other characters from the Dolphin milieu who return as well. The play is still the thing, and with all due respect to Ngaio it's a rather better one than The Glove that they're putting on this time: Shakespeare's own Macbeth. The rest of the evening was unreal. The visit to the royal box and the royal visit to the cast. The standing ovation at the end. Everything to excess. A multiple Cinderella story. Sort of. This is way off from the usual Marsh standard, though the customary Ngaio wit does glint at points. "Old Nina's got the bug very badly," Jay says of a superstitious actress in Macbeth fearful of all the dark legends which have built up around the play. "Her dressing-table's like a second-hand charm shop." "I don't know why...but it seems to me it's something American husbands have. Their wives say mysteriously to one: 'My dear! He has diverticulitis! And one nods and looks solemn." There's an additional amusing twist to this joke, but I'll leave you to read it for yourself. Of course if you're suffering from diverticulitis, whatever it is exactly, you may not find this passage so mirthful. What gives considerable boost to Light Thickens in my estimation is its overall conception, which is a grand one. Marsh had long had the idea for this novel in mind, but only in her final months did she finally attempt to set it to paper. Of course murders have taken place during plays before in detective novels (Marsh herself had done one nearly a half century earlier), but Light Thickens fully integrates the murder story with the performance of the play itself, and what a play it is for a murder: "The Scottish Play," Macbeth, superstitiously believed to be cursed, like the Hope Diamond. It's known as "The Scottish Play," in fact, because it's considered bad luck during a production even actually to speak the title of the play out loud. It is, verily, the play that dare not speak its name. 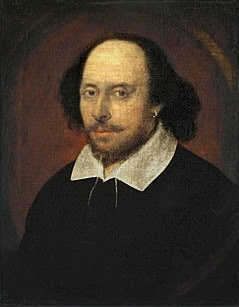 During the production of the play, pranks are played on the cast members, non of them deadly but all of them nasty and grotesque. Could there be some sinister purpose behind this seemingly senseless japery? The main cast members of the play are characterized economically but sufficiently to advance the mystery along. There are, first and foremost, Dougal Macdougal, a real Scotsman, in the title role and Simon Morten as his nemesis Macduff, both of whom are enamored with the leading lady, Margaret Mannering, who plays Lady Macbeth. There's even a "stage" Cockney Props, Ernie, who says things like "fink" for "think," so that you will know he is a Cockney. Marsh's Cockneys had been speaking like that for nearly a half-century; I suppose Ngaio figured, why stop now? At least she doesn't have a plumber saying "Arr," like she does in Swing, Brother, Swing. He's gone a little loopy. Jay heroically tries to hold things together, with the help of his wife and sons, but will the play, which promises to be one of the great Macbeths, actually see its opening night? Of course murder--a horrible, bloody mess of a murder--will take its turn on the stage as well, pretty late into the novel. The murder is most apt, so apt, indeed, that most people probably will discern the identity of the murderer about as easily Superintendent Alleyn does. There are some clues, but they only point to what should be, I imagine, already sufficiently clear to most readers. Mystery fiction bloggers who are great devotees of puzzles like TomCat, for example, doubtlessly won't be impressed with the formal puzzle apparatus here. However, even if I am right in that supposition, I don't see this novel as a failed effort. The solution is a most fitting one artistically. I agree to a great extent with Jacques Barzun, who wrote of the novel that the "denouement is predictable, but so brilliantly reached that the fault is overlooked." Perhaps Ngaio might have given us a flawless crime novel had she made Light Thickens an actual crime novel, jettisoning the weak puzzle elements. 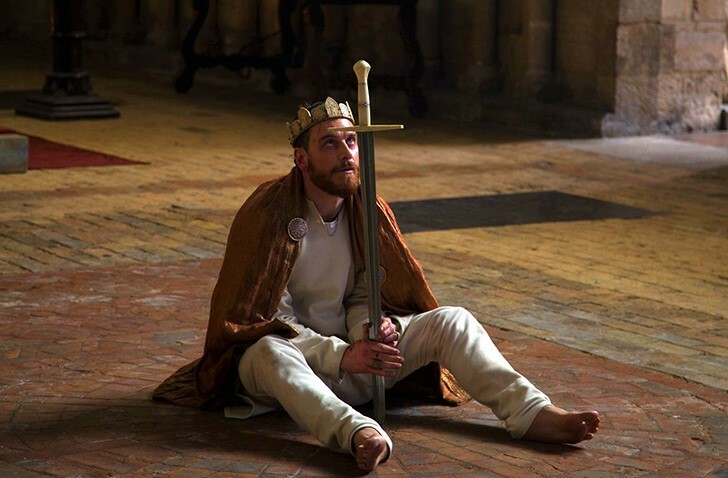 As it is, it bears resemblance to a remarkable film about Shakespeare and murder which won an acting Oscar for a veteran British thespian in the 1940s. (And I'm not taking about Olivier.) But instead Marsh cast it as her usual detective novel, and as such it makes a charming adieu to her fans and to the Golden Age of mystery. Of novels written by actual between-the-wars members of the Detection Club, only four by seemingly indefatigable fiction factory Gladys Mitchell, who died in 1983, would follow Light Thickens into publication; three of them were posthumously published, like Ngaio's last Light. Ngaio Marsh knew that her health was failing when she was writing Light Thickens. I'm sure she must have suspected it would be her last novel. 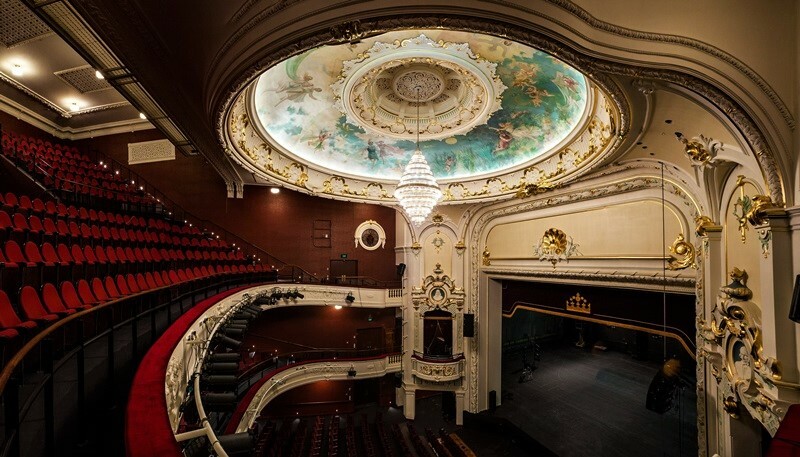 With a great effort she made her final public appearance in September 1981, when she appeared at the dedication ceremony of the newly restored Theatre Royal in Christchurch, New Zealand (restored again after the 2011 earthquake, not the last of the city's calamities as we saw this week). Marsh cut the ribbon across the theater's portal and resoundingly declared, "God bless this ship and all who sail in her." Housebound thereafter, her own ship taking sail no more, Marsh completed her manuscript and sent it out on January 7, 1982. Her agents had reservations about the novel, but Little, Brown, her longtime American publisher, accepted it immediately, which Marsh was much pleased to hear two weeks before her death on February 18. She never did learn that Collins had accepted her final novel. Collins in fact had contemplated rejecting it and insisted on substantial editing after Marsh's death. Something they should have done for Christie's last two novels! Despite publisher concerns, Light Thickens was much praised by critics and lapped up by fans. Seemingly nothing becomes an author, in the eyes of critics and fans alike, like her recent death. But today, 37 years after Ngaio Marsh's demise, I think that Light Thickens is still well worth reading. Perhaps had she written the novel earlier in her life, it might have been one of her masterpieces, but as it stands it makes an affecting swan song from one of the major figures in the mystery genre. Can you cut a ribbon "resoundingly"? I'm sure Marsh could! In these days of postquels, couldn't somebody write the Postern of Fate Christie wanted to write? I was thinking more of the declaring, lol, but the adverb probably should be moved over a few words, thanks so much for pointing that out. I actually thought about that before posting, yes indeed. I think there was a Postern of fate that Christie wanted to write that would have been better than the one she wrote. Maybe they should try that. There I moved resoundingly seven words over so there wouldn't be any confusion with the adverb and the conjunction of verbs and what's being modified. Hope future readers enjoy that sentence better now. I remember Dolphin with a bit more affection than you do, but couldn't agree more with your verdict on Thickens, which novel I much enjoyed for what it is. I hadn't realized until reading your account quite how old and close to the end of her life Marsh was when she wrote it -- many thanks for that insight. It makes her achievement all the more remarkable. I wish I liked Dolphin more, it just doesn't do it for me though. But you have Anthony Boucher and Edmund Crispin on your side, which ain't bad company! I have my complaints about Ngaio, but I admire her commitment to her writing and her successful struggle to finish her last book is truly inspiring to me. Her art was her life and did right by it. "At best, it seems to me, it's simply a trifling amiable fantasy about nice people putting on a nice show at a nice theater, with a discordantly not-nice murder perfunctorily thrown in so that it can be called a mystery. 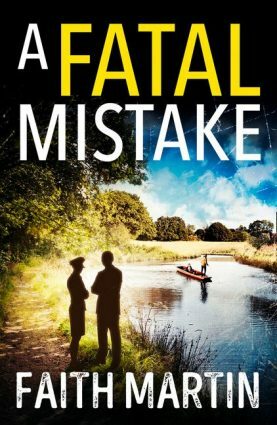 Given that I've just admittedly described a lot of modern mysteries, this may actually be the sort of thing a lot of modern mystery readers enjoy." I do, but I'm not posting them. I get into enough trouble as it is on this blog. Sorry I missed your take, I will add it. I was a but hesitant with this one, for I know a lot of people like it, but it just didn't grab me, outside of the first chapter. I often see things differently so maybe it's not surprising I liked the later book better. I really enjoyed her intertwining real murder with Macbeth, even if her powers were starting to wane, I hope you like it, it doesn't seem to get much attention compared to other books by her. Incidentally, one of Perry's sons comments on how handsome Alleyn is, I kid you not! Charming to the end, that gent.